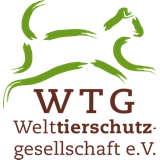 VETS UNITED Tanzania - Welttierschutzgesellschaft e.V. More than 70 percent of the Tanzanian population lives and works in rural areas. Farm and working animals are essential for the survival of the people that live there. 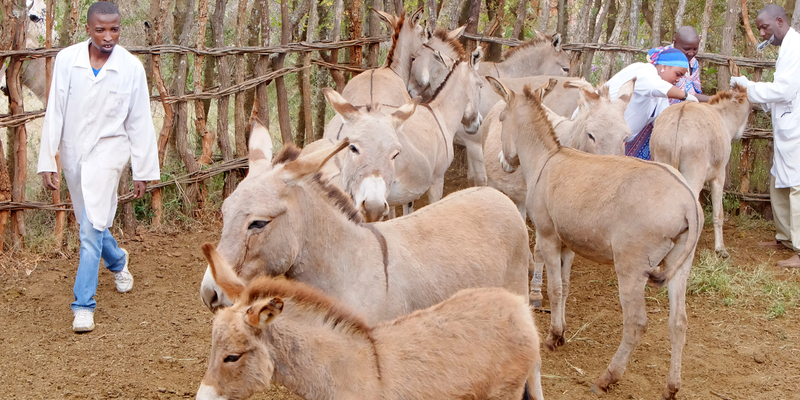 Donkeys and horses are used for agricultural work, dogs guard houses, goats and cattle provide food. 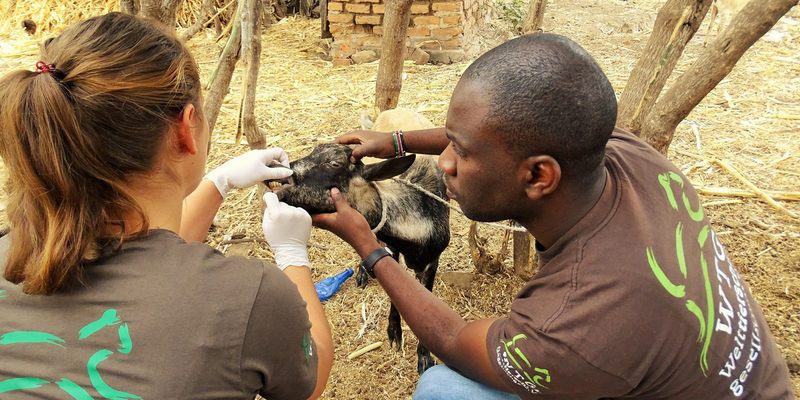 The medical care for these animals is split between veterinarians and paravets. 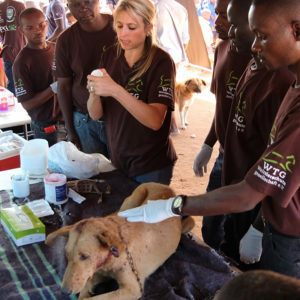 Paravets often provide basic animal health care. However, there are only about 250 veterinarians and 1,690 paravets - which is far too little for a country with more than 40 million farm animals. In addition, the education of veterinary staff is not very practice-orientated and animal welfare aspects do not play a great role. Within our education programme VETS UNITED we have developed comprehensive educational material on animal welfare and animal health for developing and newly industrialised countries. 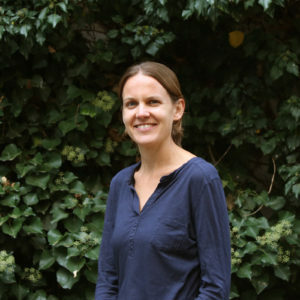 Based on this, as a first step an Animal Welfare Module will be developed in cooperation with six colleges which are offering animal production and health studies. The module will integrate animal welfare topics through theoretical lectures and practical lessons. The aim is to prepare the students better for their future professional life. As a second step we plan on introducing the Animal Welfare Module into the national curriculum to become mandatory for all colleges offering animal production and health on the long run. The Meru Animal Welfare Organization (MAWO) who has been our local partner for the last three years will support us in this work. Our local coordinator will be Irene Wairimu Gichingiri. 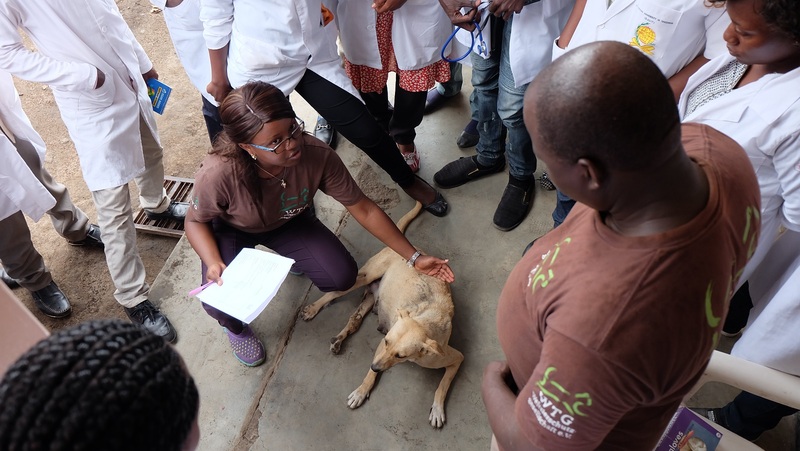 She was a participant herself in a VETS UNITED workshop in Tanzania back in 2016. Initially, she will provide a one-week intensive training for twelve lecturers, two lecturers per cooperating college. During the training the lecturers will familiarise themselves with the teaching material. In the following winter semester 2018/2019, they will include these materials into their lectures and pass the knowledge on to the students. 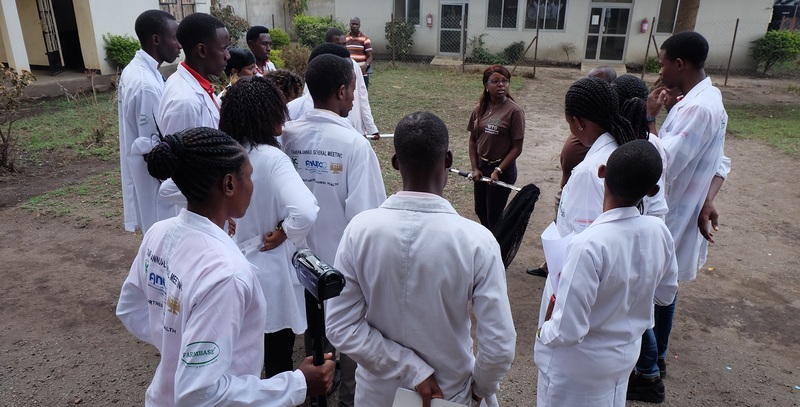 In addition to the theoretical lectures, Irene and a veterinarian will run a week of hands-on practicals including handling and treating animals for the lecturers and their students at each of the six colleges. We will provide a car with the necessary equipment for Irene to visit the different colleges and run the clinics with the students and the lecturers. In the long term, the lecturers will independently organise and carry out these practical exercises. Learning practical skills is crucial for the future work of the student. Often, there is no computer room or library at the Tanzanian colleges and very few of the students have a private computer with internet access. Therefore, the students don’t have the opportunity to research topics further or to carry out research work independently. As a pilot project, an educational centre for animal welfare will be established at Tengeru College. The center will be equipped with computers and provide a place for students to study and research in more depth. By the end of 2019, we will have reached about 480 students. The use of the animal welfare knowledge by those students in their work will improve the living conditions of over 40 million farm animals in Tanzania on a long run.